This gift box is specially made for the day of love, Valentine’s Day. This Valentine box contains 5 small variations of different products that are specially put together for this special day. 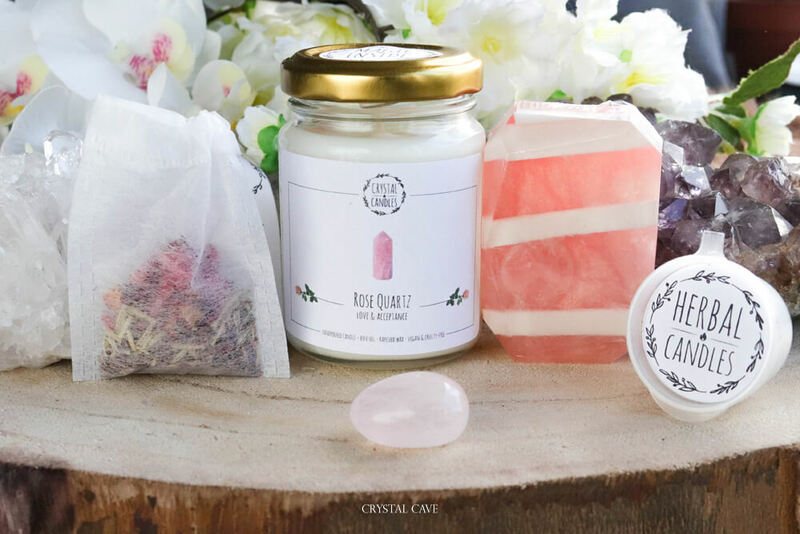 The stone and scents around which these products are made are: Rose quartz, Roses, Incense and Orchid. A fun, personal gift for someone you love and want to share your love with or is new with gems and spirituality! 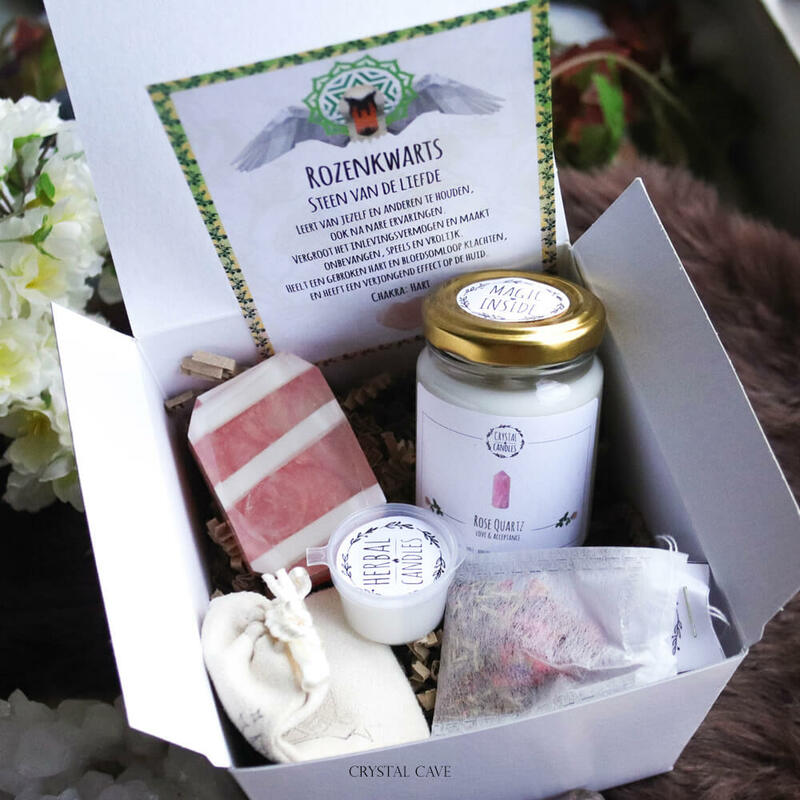 These products are in a nice gift box + a card about the explanation about the stones. WIll you add your personal text to the inside of the lid of the gift box? Then enter text in the “Personalize” option. Rose quartz is the stone of the heart and love. She opens the heart so that you can receive and send out love. Teaches you to love yourself and others. heals a broken heart and lets you look lovingly at the world again. The stone makes it susceptible to all kinds of beauty and stimulates creativity and imagination. Physically it has a positive effect on the heart, fertility and breast and lung diseases. – Bag with stones – Contains 1 stone: Rose quartz which are in a hand stamped suede bag + card with features of the stone.